With low inventory for buyers to choose from, the buying process can be a little more hectic. On caravan I usually see the same agents with their buyers every week in search of the perfect La Cañada or La Crescenta home for our first-time homebuyers. In a competitive housing market, often times buyers lose out in buying their dream home to another buyer who had these 7 tips. If you are tired of losing to other buyers make sure you do these 7 tips. 1. Get prequalified. In the case that you find a home that you love and would like your Realtor® to submit an offer, it is critical that you have already been prequalified so that you are not doing this at the very last minute. When your Realtor® submits an offer on a home, the Realtor® will also include a copy of your prequalification letter and a copy of your financials to show your proof of funds. We do this because your offer will be more desirable to the seller. 2. Make sure you communicate with your Realtor® to find out about new listings. Your Realtor® should be emailing you daily to update you about new listings on the Multiple Listing Service (MLS). La Cañada/La Crescenta caravan is on Tuesdays, from 9:30 AM - 2:00 PM, so be sure to keep your Tuesday mornings open so that you can be one of the first buyers to view the home you are interested in. If you drive through the neighborhood and see a for sale sign on a home you like, write down the address and call your real estate agent who will be able to schedule a showing and find out more information on the property. 3. Search the MLS like a real estate agent. Begin your La Cañada Flintridge home search by looking at Listingbook.com. 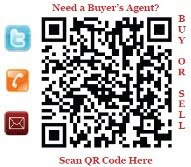 This is a great website that allows you to search the Multiple Listing Service like a real estate agent. The great thing about this website is that unlike websites like Zillow, Trulia, or Redfin, you can see properties that are active, pending, and accepting backup offers. Before this service was available, many of my buyers would call me with excitement about a home they saw on the internet that was "available". Well unfortunately once I would look up this property on the MLS, I would find out the property had sold several months ago. What happens is these websites do not update the status of listings right away and mislead buyers into thinking a home is available when it really isn't. 4. Be ready to make a decision. After going on caravan or an open house with your Realtor®, it will be time to make a decision and fast! Right now in La Cañada and La Crescenta, homes are selling quickly and buyers do not have the option of waiting to make a decision about writing an offer for more then a couple of days. Buyers should create a list of things they must have in a home such as bedrooms, baths, square footage, school district, etc. By making a list of things you must have in a home ahead of time you can make your decision faster. 5. Bid competitively. When writing an offer with your Realtor®, it is important that you make sure not to spend more than you can afford. Based on your prequalification your Realtor® should be able to determine how much you qualify for and how high you can go when writing an offer. Make sure you leave room to bid more in the case of a multiple offer situation. You would not want to offer your highest and best price and then get outbid by someone else before a multiple offer situation. However, in a tight market you’ll lose out if you go too low. Right now in La Cañada and La Crescenta, we are seeing more and more multiple offer situations because of low inventory and too many buyers. 6. Don't go overboard with contingencies. Sellers do not want to look at offers with several contingencies like having to sell your current home before moving in or delaying the close of escrow. Contingencies like these can make sellers hesitant in accepting your offer and you may lose out on purchasing this home. However, don't make the mistake of having no contingencies and possibly losing out on your earnest money deposit. 7. Don’t just buy just to buy. Just because everyone is buying right now doesn't mean you have to buy a home just to buy. Make sure you think about long term and don't neglect on things such as a home inspection because it could cost you more later. Buyers sometimes get in a buying frenzy and forget about things like a home inspection. If a home is priced low it might be that something is wrong with the house that you might not realize right away until after a home inspection.